The Guru Granth Sahib, or Adi Sri Guru Granth Sahib, is the holy scripture and the final Guru of the Sikhs. It is a voluminous text of 1430 pages, compiled and composed during the period of Sikh Gurus, from 1469 to 1708. It is a collection of hymns or bhajans, which describe what God is like and the right way to live. Guru Gobind Singh (1666-1708), the tenth of the Sikh Gurus, affirmed the sacred text Adi Granth as his successor, terminating the line of human Gurus, and elevating the text to Guru Granth Sahib. 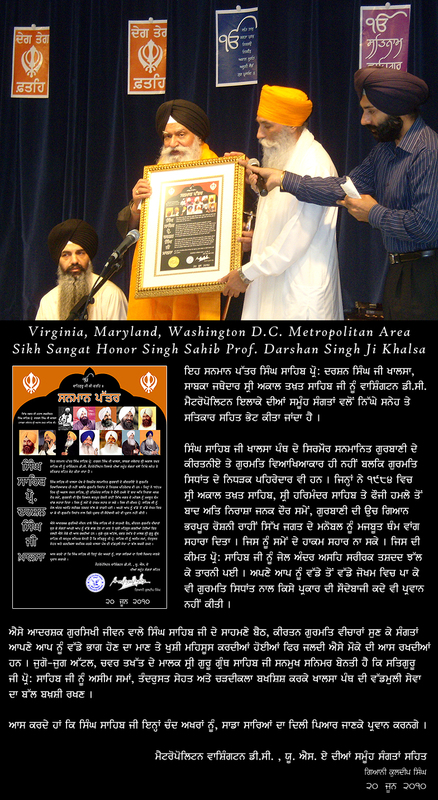 Thenceforward the text remained the holy scripture of the Sikhs, regarded as the living embodiment of the Ten Gurus. The role of Guru Granth Sahib, as a source or guide of prayer, is pivotal in worship in Sikhism. The Adi Granth was first compiled by the fifth Sikh guru, Guru Arjan Dev (1563-1606), from hymns of the first five Sikh gurus and other great saints of the Hindu and Muslim traditions. After the demise of the tenth Sikh guru many handwritten copies were prepared for distribution by Baba Deep Singh. Sri Guru Granth Sahib Ji search engine and resource. "SRI GRANTH"
Sadh Sangat Ji, A Great Gift for You !